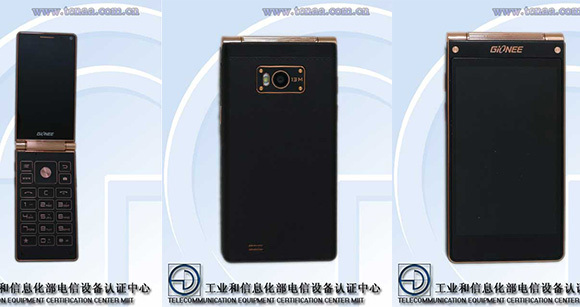 An upcoming Gionee W900 smartphone with two 4” 1080p displays passed through TENAA in China. The Android 4.4 KitKat flip phone will almost certainly not launch outside of its home market. Thanks to their modest size and high resolution, the duo of displays found in the handset sport a rather impressive pixel density of 550ppi. The downside of the device’s dual display setup is thickness of 14.8mm - a sharp departure from the 5.1mm waistline of Gionee Elife S5.1. The device’s TENAA page reveals details about its specs. They include 1.5GHz quad-core CPU, 2GB of RAM, 16GB of expandable storage, 13MP main camera, LTE, and 5MP front-facing snapper. Gionee W900 is powered by a 2,050mAh battery.